Took me awhile to update you guys with my fitness journey and a review for the Beachbody Focus T25, but please take note that this Focus T25 review is just for the first month or what we call the Alpha round. I’m currently doing the Beta one, for the second month which is harder but with the help of the workout I’ve done from Alpha, I was able to do it. Focus T25 is a workout DVD of Beachbody that you can follow to do “high intensity” workout within 25 minutes. The man behind this fitness program is Shaun T, who’s also the one who created and your DVD fitness instructor for the well-known workout, Insanity. So if you don’t have an hour to spend for the fitness of your body, will a 25 minute workout and at most 3 minutes cool down do for you? But here’s the deal, don’t stop, don’t rest, but please do breathe. That’s what’s the word “FOCUS” for, Shaun T only ask you to give him at least 25 minutes of FOCUS to work out your body. Is Focus T25 Ideal for Newbies or Overweight? Before I started working out, I weight more than 180lbs. (the last time I checked) and that’s when I decided to lose weight. I’ve heard of Turbo Jam before, so I tried it and made it to the second month (which I’ve already posted a review about) and now I’m doing Focus T25. Let’s just say more or less I lost 10lbs. (at least) with Turbo Jam, I’m saying at least because I don’t track the weight, the inches I lost because I get disappointed when I know I’ve gained and don’t want to workout anymore. So better to just set my mind that I’m doing this so my body will be pumped up almost every day. But yes, I do want to look hot in a bikini but I don’t want that to be the #1 target, I just want to be healthy and active. So most likely, I’ve done Focus T25 in an overweight body. Is it doable? Yes, there’s someone who’ll do an easy version which is mostly doable. But do I suggest to people that haven’t tried or done a workout for a long time the Focus T25? Honestly, no. It’s best if you at least introduce your body first with something simple and a lot easy – since this one have pushups and there are ones that are really high in intensity. I do suggest starting with Turbo Jam though, maybe on the second month you’ll be like me, my body was hungry and want something tougher like Focus T25. What’s inside the Focus T25 Alpha Round? 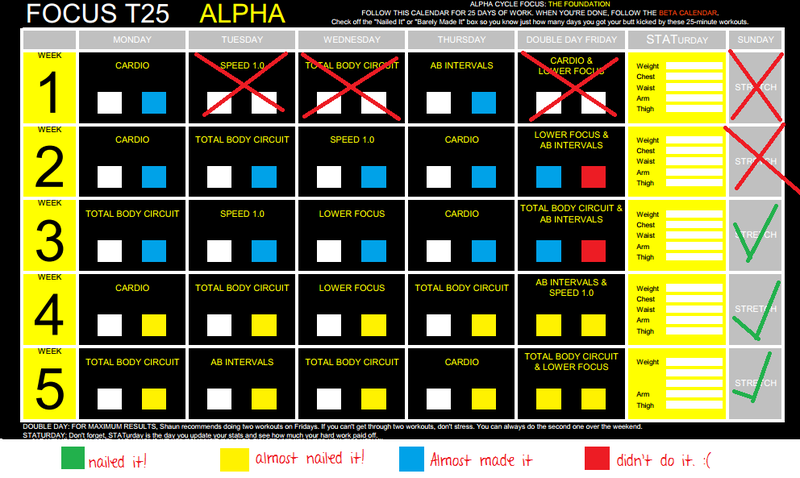 The Alpha round for Focus T25 consist of 5 weeks of workout schedule, wherein you’ll need to do the video workout 5 times a day, and on the 5th day you’ll have a double day workout (so you need at most 60 minutes for the 5th day). If you don’t have that much time to offer for the 5th day, you may follow what I did. I’ve done one for the 5th day and the other on the 6th day; and then no workout for me on the 7th day, so I do the stretching instead on the first day before doing the workout video. Got it? Here’s my progress and what I’ve done for the workouts. There’s no weight tracking there for me, I really don’t like to know if I lost or gain. Better just do it! 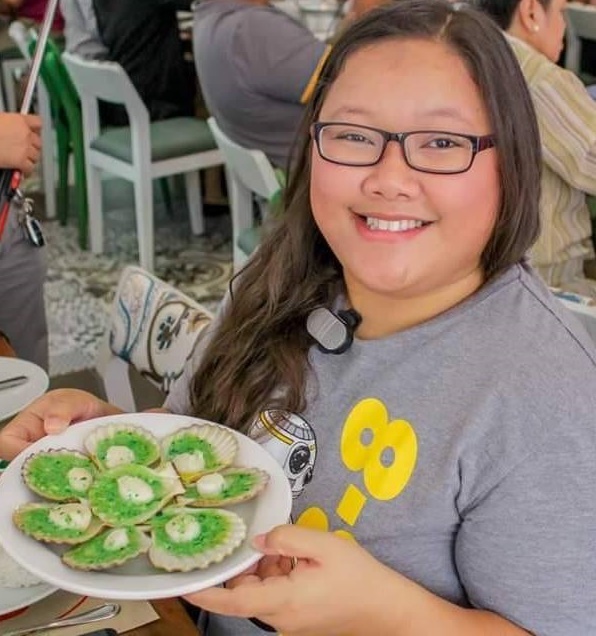 There are days that I haven’t done it since I do handle events too and an Ambassador for a travel site, so there are really times that I can’t do the workout because my body is already exhausted or I need to leave really really early. So obviously, the one from the left is the before photo. 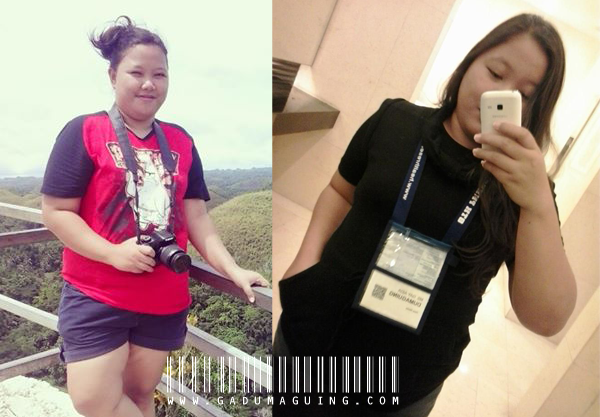 The other one on the right is the photo I took during an event, it was my third (3rd) week of the workout. Now, this photo above. The one on the left is the before the first day of the work out, and the right one is the one that I just took (I'm full, just ate lunch). I'm on the second week of Beta by the way and that's my dog photo-bombing. So yeah, nothing really obvious but I am really more active and feel more fit. 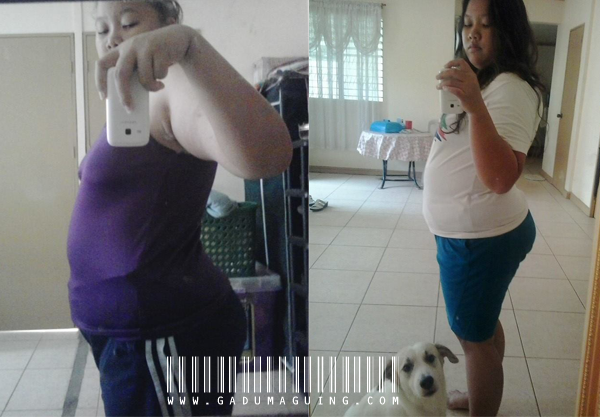 I’ll let you decide if I lose weight or what, but for me, nothing much. Since the Alpha round is just an introduction to Beta but hey, still I work out, I sweat, I conquer! I have more obvious photos that my body is starting to form and less flappy but I don’t want to disgust you with that image – I know it will be in our mind like, forever? Please take note that I don’t have a diet, I don’t follow any diet plan. That’s why I work out because I don’t want to diet; so most likely I don’t have that much of result like others have because of my diet, but then what I eat is also how much I should workout. As for the Beta, I really like it but it’s hard. I can really feel that it’s trying to create an Abs out of my Absolutely fats on my belly and my Mama loves that my body form is starting to show. Actually on my first week, I’ve tried to nail it so hard that I turned red and my body temperature is really hot and I’m sweating a lot. Do the stretch! At first I really took it for granted, but when I tried it after doing the workout for 2 weeks, I am more flexible, active and my body aches doesn’t hurt that much. Make sure you’ve done the ankle stretch since it helps you with the jumping. If you can’t do the high impact one, don’t push it too hard but do try to do it every day. I do try to do the high impact one everyday but if I feel like I can’t do it anymore, I do the low impact one and then if I feel like I can do the high impact, I’ll try again. Get a mini-mat! Honestly, I don’t have it at first but I feel like I really really should. Thanks to a company, they sent me a free mat (not mini, I just fold it). There are a lot of jumps, but since you can do the low impact one (with no jumps) don’t push yourself to do all the jumps it may hurt your knees and/or ankle. What I don’t like about the Focus T25 (Alpha) is that it have injured me but I was able to find a way (online) to at least lessen the pain. Then again, thankfully that I feel really good with it I still keep on doing it and that’s why I’m on Beta right now. Hopefully, I’ll make it and be able to get that body that I want.